The much-needed renovation on streets in the sub-divisions around San Pedro Town has finally begun. 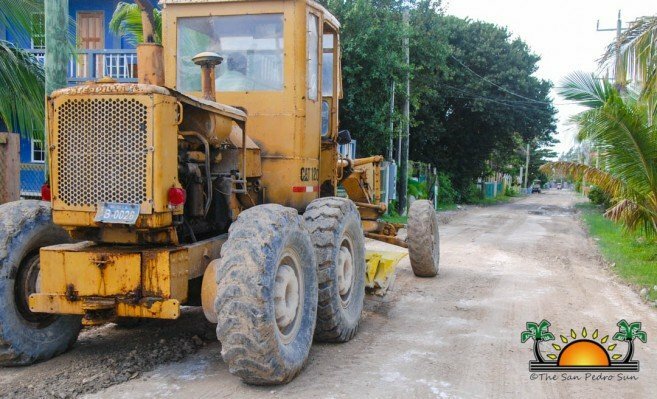 Some of these areas include San Pedrito, San Pablo, and DFC, and heavy machinery has been observed grading deteriorated streets that had been posing a challenge to students walking to school and those commuting to work. The San Pedro Town Council (SPTC) has also announced infrastructural projects in drainage and paving of streets. San Pedrito, one of the closest sub-divisions to downtown, has also seen some improvement in its streets. 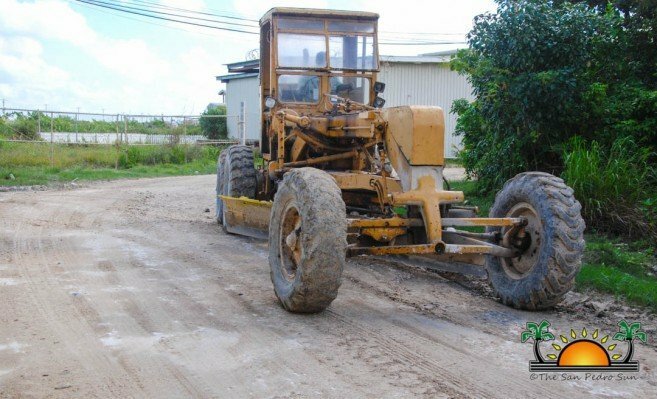 The San Pedro Town Council (SPTC) works commenced from Captain Iguana’s road near the lagoon side. Guerrero said that the aim is to address all the streets in that sub-division. The road from San Pedrito connecting San Pablo over the lagoon is also seeing some renovation to divert heavy traffic. “We hope this detour will help with traffic by having all large vehicles using this route,” said Guerrero. He said that works are just beginning and that the Escalante Subdivision and with the Marina Drive will be next. Other roads getting major uplifts include the one leading to Secret Beach, and the road heading north of Ambergris Caye. 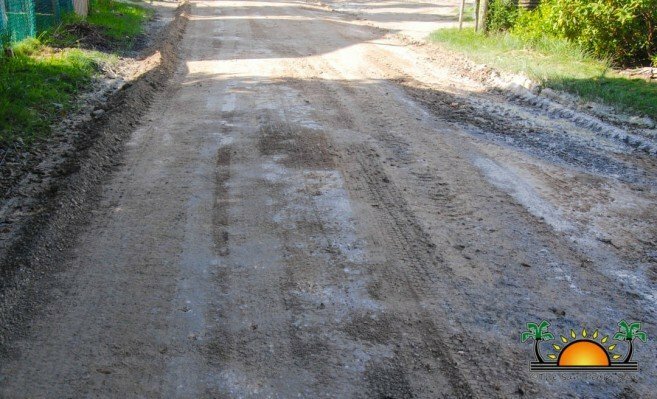 The southern-most road of the island will also see major improvements. “2019 will be all about infrastructure,” said Guerrero. He also indicated that they would work in San Mateo to open the streets that are inaccessible. Other projects that have been in the works since 2016 include the building of sidewalks and equipping the streets with proper drainage in DFC, San Pablo, and San Pedrito subdivisions. “We have some engineers looking at specifics for drainage,” Guerrero indicated. Three years ago, there was mention of streets that were to be paved, including Manta Ray Street, where the Dr. Otto Rodriguez San Pedro Polyclinic II is located, and Tropical Wave Street located by the airstrip area. This concrete paving is also expected to extend to the street by the San Pedro High School, and all the other side streets leading into the Boca del Rio beach, as well as the street by Isla Bonita Elementary School in the San Juan Subdivision. In 2016, Guerrero hoped to have completed these projects before the end of his second term, but the projects have yet to materialize. The SPTC stated that this is a slow process that will require securing the necessary funds, but the administration is determined to deliver long before the end of this term in office. The San Pedro Sun will continue following up on these projects.